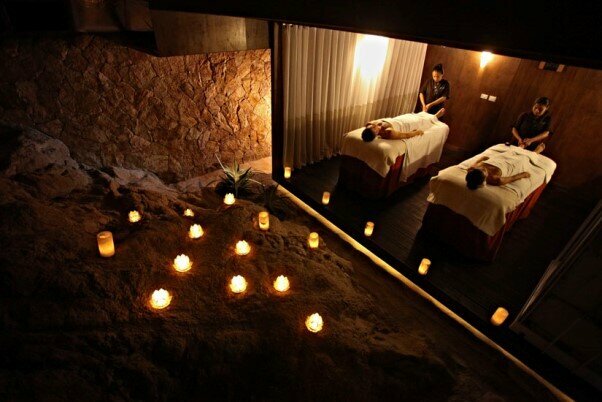 When entering the luxurious Sandos Finisterra spa, it’s like stepping into an underground world inspired by the deserts and mountains of Cabo San Lucas. 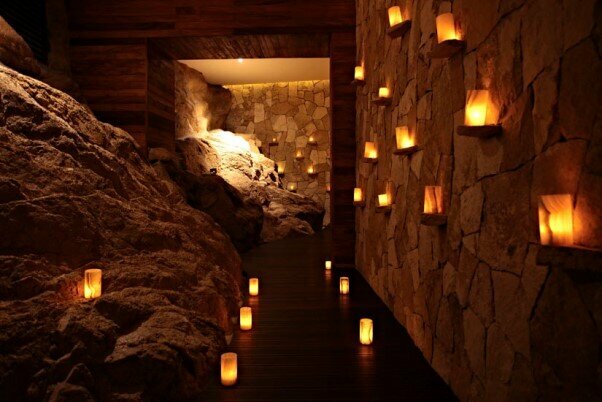 Every passageway has walls carved into the mountain, lit up by candles to guide you toward your massage cabin. 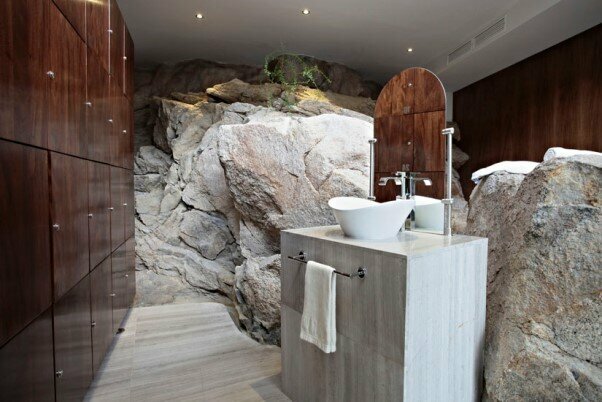 All of our cabins feature a stone wall or our famous panoramic views of San Lucas Bay. You’ll leave the world behind with a treatment or massage in a spectacular ambiance. …and from our hydrotherapy area. To achieve the perfect look for your vacation or for a Cabo San Lucas wedding, our beauty salon offers a wide variety of services and amenities. After a day of exquisite treatments to refresh the soul, you can top it all off with a visit to our incredible dressing areas, with relaxing saunas and our signature natural style. The professional staff at Spa Sandos has received many positive comments from world travelers, praising the quality and warmth of their service. 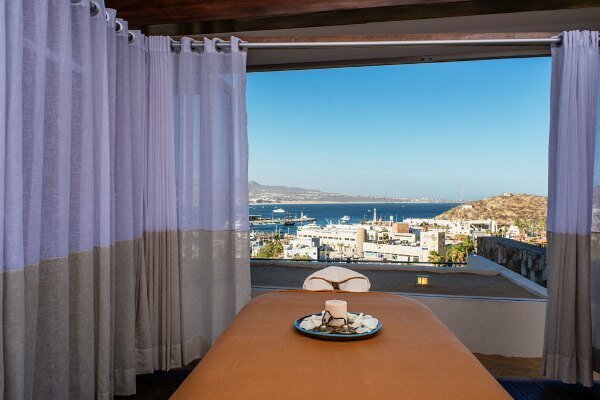 We invite you to learn more about the incomparable spa at Sandos Finisterra Los Cabos by visiting our website.